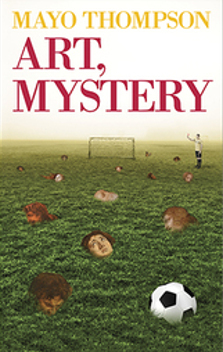 In Art, Mystery, a disgraced former footballer, now export agent specializing in chrome, accepts an unusual commission from an odd source, the very man who brought him down, a former football referee turned art handler-to find and export a pornographic work of Renaissance art. Dieser Eintrag wurde veröffentlicht in Blog und verschlagwortet mit Drag City, Mayo Thompson, The Red Krayola von admin. Permanenter Link zum Eintrag.